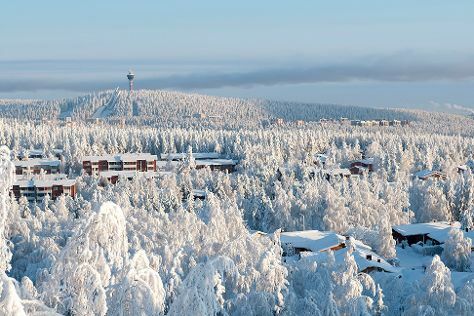 Jyväskylä is a city and municipality in Finland and in the western part of the Finnish Lakeland. Get out of town with these interesting Jyvaskyla side-trips: Ahtari Zoo (in Ahtari), Mikkeli (Kenkavero, Mannerheim Statue, & more) and Kuopio (Kuopio Market City Hall, Room Escape Games, & more). There's lots more to do: see the interesting displays at The Alvar Aalto Museum, admire the masterpieces at Jyvaskyla Art Museum, learn more about the world around you at Natural History Museum of Central Finland, and learn about all things military at Finnish Air Force Museum. To see photos, maps, other places to visit, and other tourist information, go to the Jyvaskyla holiday builder tool . In June, plan for daily highs up to 21°C, and evening lows to 8°C. Finish your sightseeing early on the 7th (Fri) so you can travel back home.